There are few things in life this family of mine likes more than grilled pineapple. You can slice it up and grill it as-is if you'd like, but we like to marinate it for that little extra something. It's so easy it doesn't actually need a recipe but...here you go. Place all ingredients in a plastic bag, mush around, let marinate overnight (or for a few hours, at least). 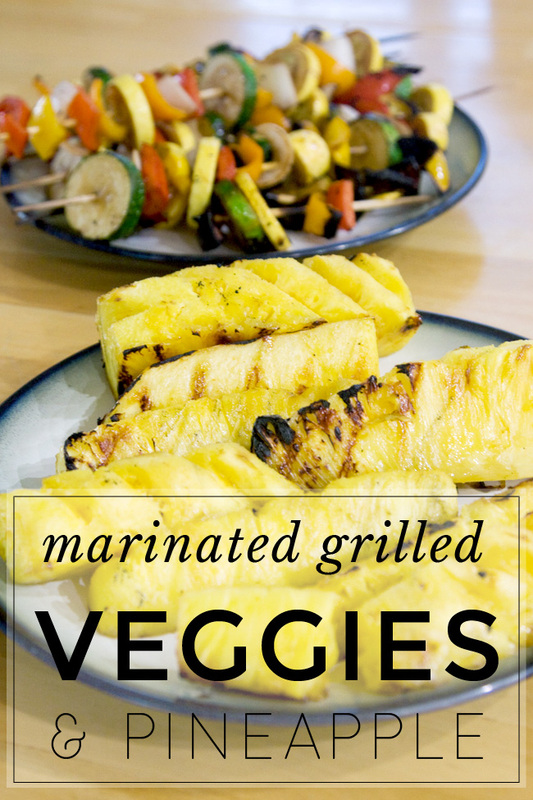 None of us are huge on veggies but we actually kind of love them marinated and grilled. Even my boys appreciate a veggie skewer with sweet bell peppers on it! It's a great (and healthy!) way to add some pretty summer colors to a meal! Chop veggies into bite-sized pieces. Mix together first five ingredients, pour into a gallon ziplock and add veggies. Seal then squish around to distribute. Refrigerate and let marinate for at least 4 hours. 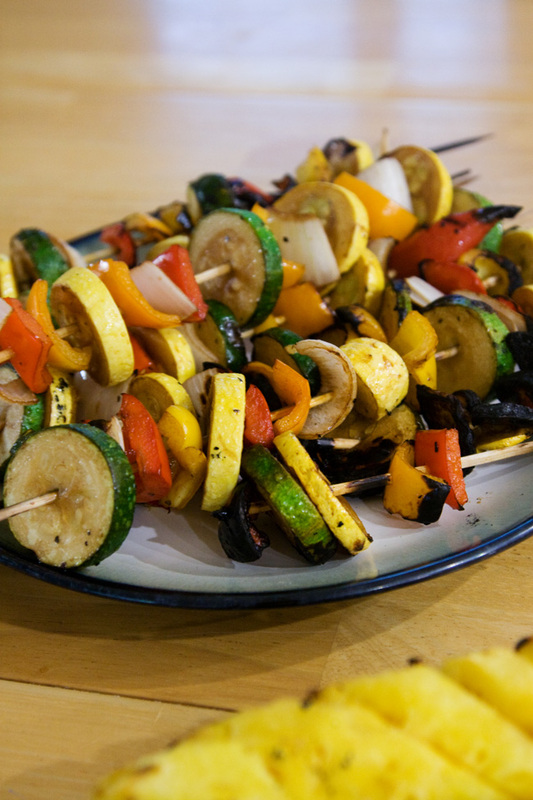 Thread onto soaked skewers and grill until there's a nice bit of char and veggies are a little tender. We like to use assorted bell peppers, yellow squash, zucchini, and onions. You could also do mushrooms, tomatoes, or whatever else your family loves! Looking to up your veggie intake? Try my recipe for lasagna primavera or mashed potato and roasted vegetable enchiladas!